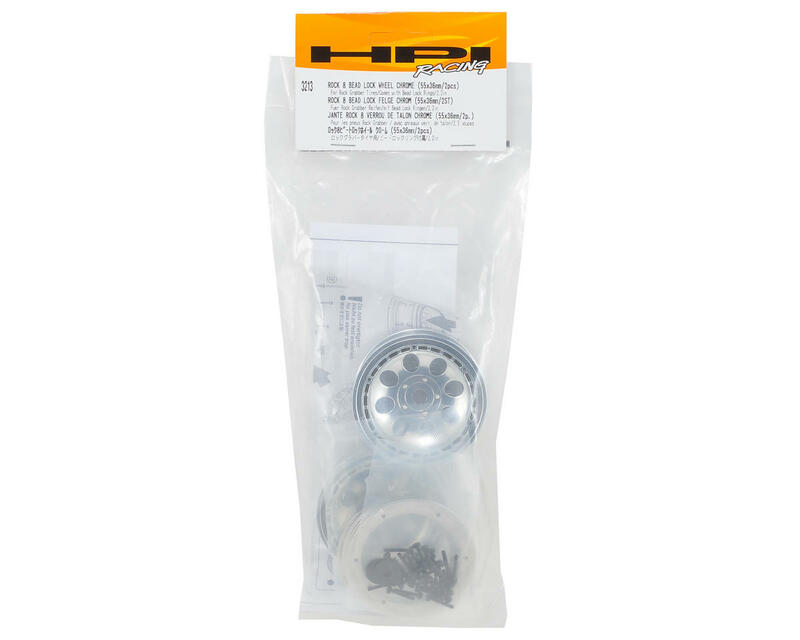 This is a set of two HPI Rock 8 Beadlock Wheels, and are intended for use with the HPI Crawler King and Wheely King family of trucks. These wheels are designed for high performance rock crawling. The tire is held on with bead lock rings to keep the tire securely mounted on the wheel without the need for messy CA glue. Each ring is made from stainless steel, making them extra heavy to keep them firmly planted on steep terrain. 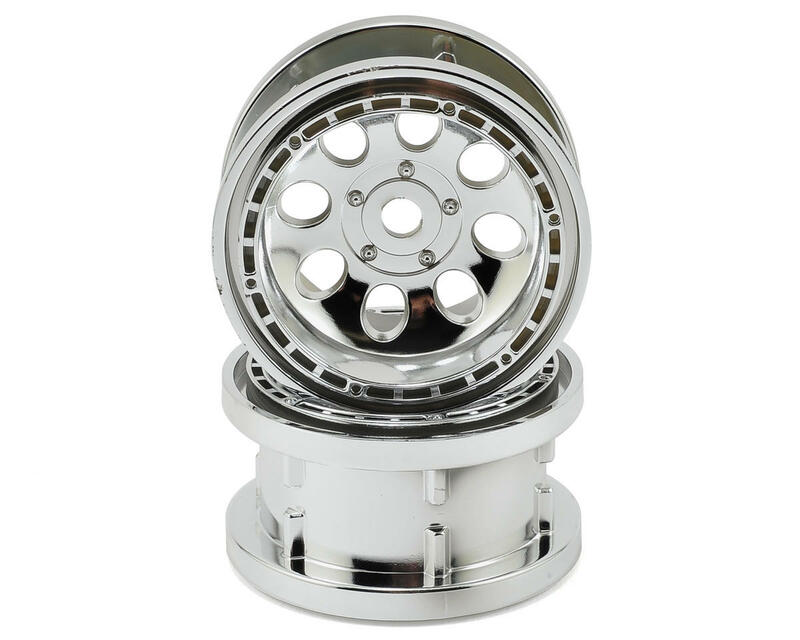 These wheels are available in white, black, chrome and black chrome so you can customize your vehicle to match the body paint scheme. 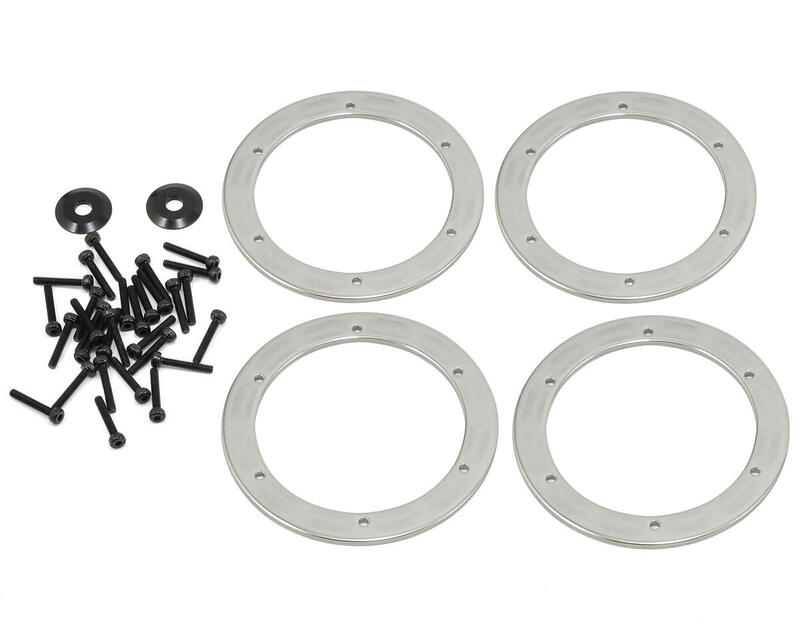 Sold in pairs with included Bead lock rings, screws and aluminum washers. 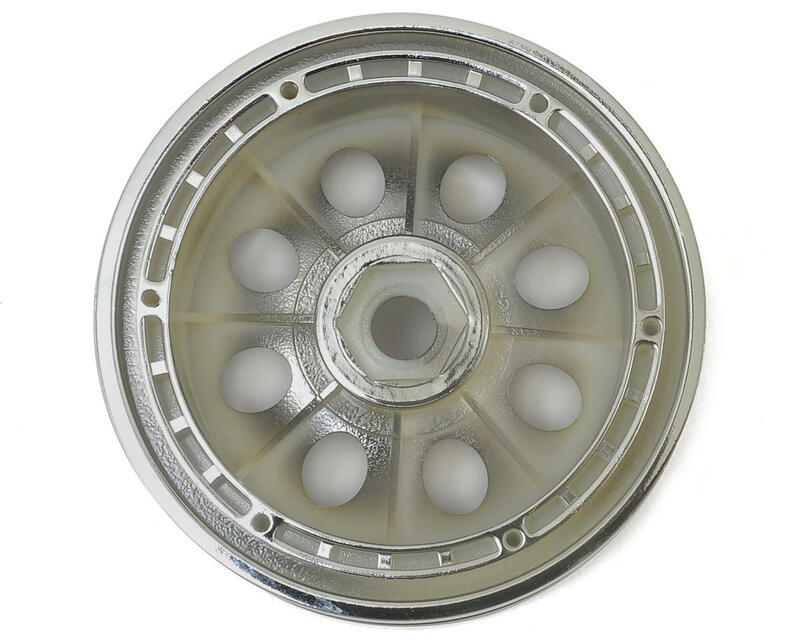 NOTE: Because of the unique bead lock design, these wheels must be used with HPI Rock Grabber Tires.